Washington is a leading producer of Riesling and Chardonnay wine grapes. 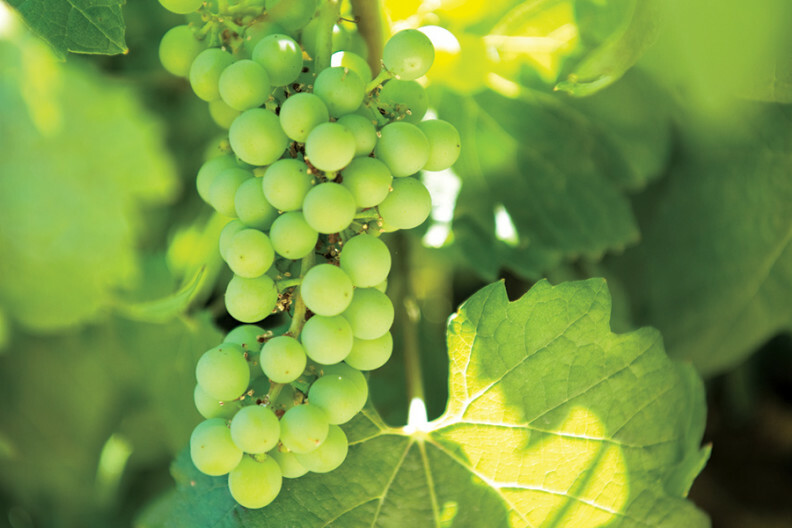 In fact, these two grapes account for 75 percent of the white wine grape production in the state. In arid eastern Washington, where most of the state’s wine grapes are grown, efficient irrigation is the name of the game. But it can be particularly challenging for white wine grapes. If a grower anticipates a heat wave, he or she can have a hard time figuring out how much to irrigate. Overwatering could result in too much canopy growth at the expense of berry production, and not enough water could mean lower yields. When it comes to determining the best irrigation strategies for white wine grapes, growers don’t have a lot to go on. That’s why WSU viticulturists Yun Zhang and Markus Keller are evaluating methods to conserve water and improve the productivity and quality of chardonnay and Riesling grapes. They’re discovering promising strategies that growers can use to make sure water is delivered when and where it is most needed. One strategy is called “partial rootzone drying.” A grower applies water to one part of the vine’s root zone while letting the other part dry out. In effect, the vine is tricked into thinking it is water stressed when it isn’t. Canopy growth stays under control without sacrificing berry size or crop yield. Plus, it takes the guesswork out of irrigation scheduling. In partnership with Ste. Michelle Wine Estates, the irrigation study takes place at their Columbia Crest trial vineyards in Paterson, Washington. To evaluate the finished product, WSU enologist Jim Harbertson produces wine from the grapes in the study at WSU’s Wine Science Center in Richland. Support for the research is provided by the WSDA Specialty Crop Block Grant Program and the Washington Wine Commission.